The undisputed Queen of Soul, Aretha Franklin, has handpicked Jennifer Hudson to play her in an upcoming biopic about her life. 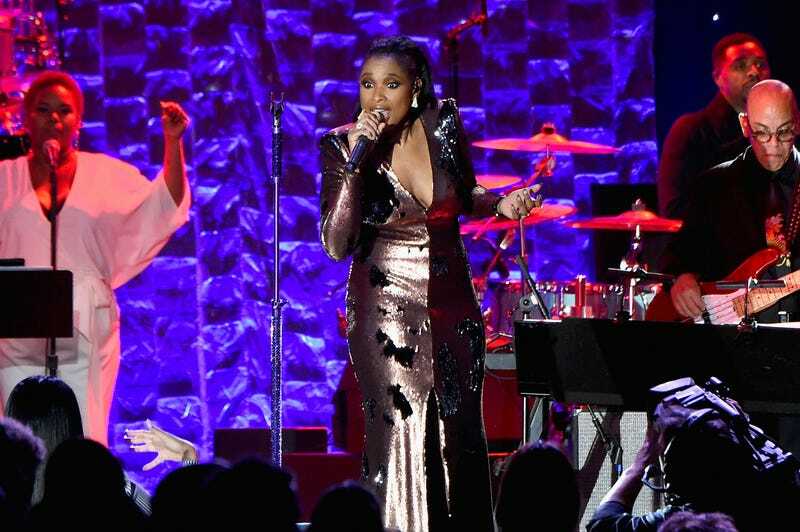 Music mogul Clive Davis made the announcement at his annual pre-Grammy bash, the hottest ticket in these Grammy streets, making the announcement after Davis brought her onstage to sing a few songs, Deadline reports. We tend to believe Davis when it comes to these things because he is known as the diva whisperer, working closely with Franklin, Whitney Houston, Alicia Keys and others. Hudson reportedly sang Franklin classics like “Think” and “Respect” as part of her performance (I hope somebody got that on video).